"Our Exclusive Annual Profile Of Who's Who In the Cheese Business." Available at $35 per copy, see our order page to order your copy. 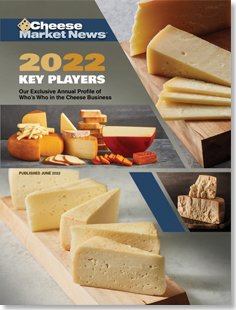 Call the Publisher at (608) 831-6002 or email squarne@cheesemarketnews.com for details on multiple copy discount.